Conflicts within the family. 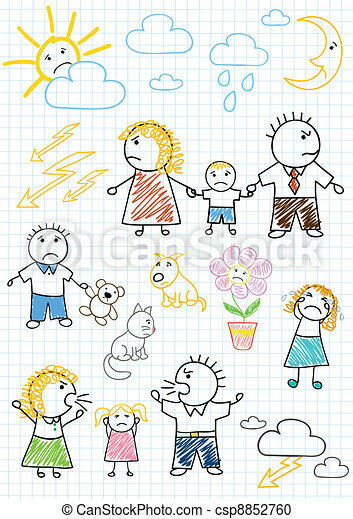 Vector drawings - conflicts within the family, parents quarrel. sketch on notebook page.